by Carol A Adams. This article has been cited over 1,000 times and is in the top ten most cited articles published in the Accounting, Auditing and Accountability Journal in its 30 years. 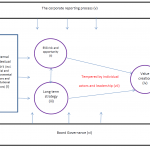 Executive summary/Abstract Prior empirical research into factors which are influential in determining the extent and nature of corporate social reporting has primarily been concerned with the impact of corporate characteristics (such as size and industry grouping) or general contextual factors (such as the social, political and economic context). Relatively little prior work has examined the internal contextual factors and their impact on reporting despite increasing emphasis in the field of practice on reporting processes and governance structures. 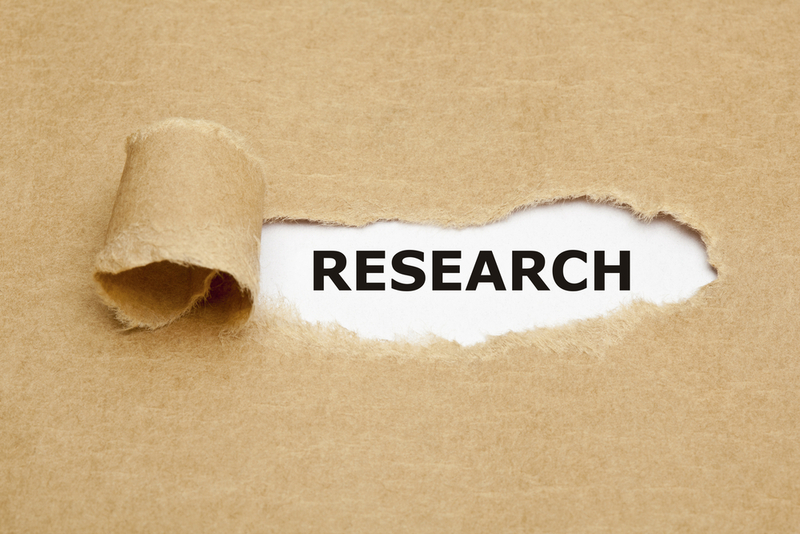 In this study interviews were conducted with seven large multinational companies in the chemical and pharmaceutical sectors of the UK and Germany in order to identify any internal contextual factors influencing the nature and extent of reporting. The work highlights the lack of explanatory power of the existing social reporting theories. A more inclusive model of corporate social reporting is presented. the views and attitudes of key corporate players to aspects of reporting. Thus the focus of the interviews was on the processes of reporting and attitudes which might influence decision making on reporting. inform critical analysis of the (potential) role of legislation in achieving improvements in the above areas (see Adams and Harte (2000) for a discussion of this in relation to equal opportunities reporting). the internal context (including identity of company chair and existence of a social reporting committee). The implications of the empirical findings for the theoretical development of the field are discussed and a diagram summarising the variables examined in both the prior literature and this study known to influence corporate reporting is presented. The intention is to highlight the existence of a number of variables which are not captured by the current, so‐called “theories” of social reporting. In particular, these theories about why and how companies report have been developed largely without reference to internal corporate variables identified in this study including both the process by which companies report and the attitudes of the key players. Whilst many of these internal contextual variables are themselves influenced by general contextual variables, the strength of their influence justifies them having separate attention. A comparative study such as this renders the influence of general contextual variables (which differ across countries) on internal contextual variables more visible. There have now been several studies testing the main social reporting theories, stakeholder theory, legitimacy theory and political economy theory. These studies have either provided support for or indicated rejection of one or more of the theories, no one theory being consistently supported or refuted, thus demonstrating that any one of these theories can only provide a partial explanation. Indeed, whether or not a theory has been supported depends to a large extent on the scope of the study and the variables investigated (see Adams and Harte, 1998). Prior work also points to the difficulty of explaining the lack of disclosure on some issues using these theories (see Adams et al., 1995a). In contrast to the academic literature, the practice of social reporting and auditing, which has developed rapidly in the last five years, is paying increasingly more attention to the internal processes of reporting. Indeed AA1000, an exposure draft published by the Institute of Social and Ethical AccountAbility (1999a, b), focuses entirely on the processes of reporting and auditing without specifying any reporting indicators. Examples of recent reporting where the company’s report and in many cases also their auditor’s report have focused on internal processes of reporting are provided by, for example, Camelot Group Plc, Co‐operative Bank Plc, Novo Nordisk, Royal Dutch/Shell and TXU Europe. Many recent studies of the impact of corporate characteristics on social reporting (e.g. Cowen et al., 1987; Deegan and Gordon, 1996; Gray et al., 1995; Hackston and Milne, 1996; Trotman and Bradley, 1981) have tended to concentrate on environmental reporting. The results must be interpreted with caution. Although most studies have looked at large companies, the samples differed from study to study in terms of both size and industrial compositions. Differences in country, time period and explanatory variables also make generalisations difficult. However, some relationships have been identified. In particular, corporate size appears to be an important variable (see, for example, Adams et al., 1998; Cowen et al., 1987; Hackston and Milne, 1996; Patten, 1991; Trotman and Bradley, 1981) and there is also strong evidence that industry membership is related to disclosure (see, for example, Adams et al., 1998; Cowen et al., 1987; Deegan and Gordon, 1996; Hackston and Milne, 1996; Patten, 1991; Roberts, 1992). Unclear relationship to profit. For example, Cowen et al. (1987) and Patten (1991) found no relationship to profit in the same period, but Roberts (1992) found that social disclosure was related to strong economic performance in the previous period as measured by growth in return on equity. More recent research has found a positive link between environmental and financial performance and specifically that over two‐thirds of “green” companies perform better than their non‐green counterparts in 1,200 direct comparisons of green and non‐green companies (Edwards, 1998). Some relationship to share trading volume and price (see, for example Patten, 1990) although the nature of impact depends on the nature of disclosure. A negative relationship between the level of social disclosure and systematic risk (BETA) (Roberts, 1992). A positive relationship between the level of disclosure and length of management decision horizon (Trotman and Bradley, 1981). A positive relationship between an active strategic posture (as measured by corporate sponsorship of a philanthropic organisation, the size of a company’s public affairs department and debt equity ratio) and level of social disclosure (Roberts, 1992). The country of origin of a company is influential in determining both the nature and extent of disclosure (see, for example, Adams, 1999; Adams et al., 1995b, 1998; Adams and Kuasirikun, 2000; Andrew et al., 1989; Belkaoui and Karpik, 1989; Cowen et al., 1987; Guthrie and Parker, 1990; Lynn, 1992; Nees and Mirza, 1991; Niskala and Pretes, 1995; Roberts, 1990, 1991; Trotman and Bradley, 1981; United Nations, 1992, 1994). The extent of these differences, however, in some studies is somewhat difficult to determine because of the different characteristics (for example size and industry composition) of companies making up the samples from each country in a particular study. There is a relationship between the nature of disclosure and the social and political context in particular. These two variables are intertwined and their interconnectedness and influence is perhaps best demonstrated by longitudinal studies such as Adams and Harte (1998), Burchell et al. (1985) and Hogner (1982). Adams and Harte (1998) linked the portrayal of women in UK banks and retail companies between 1935 and 1993 to the social, political and economic context in which the (non)disclosures were made. The paper shows how (non)disclosure is particularly influenced by the social and political and, in the case of reporting on women, by patriarchy. Burchell et al. (1985) demonstrate that the rise and fall of reporting on value added in the UK was heavily influenced by the political agenda. Hogner (1982) examined the annual reports of US Steel over eight decades and argued that the social reporting patterns reflected changes in society. Arnold and Hammond (1994) demonstrate how reporting can be used to influence the social and political climate in a way which is consistent with corporate interests. Information reported by signatories to the Sullivan Principles was used to provide a “moral rationalization for continuing business in South Africa in the face of a growing movement for divestment” (Arnold and Hammond, 1994, p. 531). There is a relationship between the economic context and the nature of reporting, though the influence of the economic does not appear to be as strong as the social. Whilst Tinker and Neimark (1987) found that the portrayal of women in the annual reports of General Motors between 1917 and 1976 changes with the crises facing capitalism, their study was criticised by Cooper and Puxty (1996, p. 299) for ignoring the social and failing to allow women “to speak for themselves”. Guthrie and Parker’s (1989a) longitudinal study of social disclosures of BHP found that their corporate social reporting practices were very variable, with intervals between peaks ranging from ten to 30 years. The timing of observed peaks in disclosure was found to bear little relationship with key economic events affecting BHP. There is a relationship between the cultural context (Adams and Kuasirikun, 2000), ethical relativism (Lewis and Unerman, 1999) and reporting. Culture influences moral values which one would expect in turn to influence at least the issues which companies select as being worthy of report. The literature finds that cultural factors may also help to explain differences in environmental concerns, the strength of green politics and demands for corporations to act in socially responsible ways (Adams et al., 1998; Adams and Kuasirikun, 2000; Douglas and Wildavsky, 1982; McCormick, 1991; Muller‐Rommel, 1989). Adams and Kuasirikun (2000) note that Gray’s (1988) study linking four accounting/reporting values (professionalism versus statutory control, uniformity versus flexibility, conservatism versus optimism and secrecy versus transparency) to Hofstede’s (1984) four cultural values put Germanic and Anglo accounting systems at the opposite ends of the secrecy versus transparency continuum, with German systems deemed to be the most secret. Whilst Gerhardy’s (1991) empirical study supports Gray’s (1998) theoretical model of Germanic reporting as secretive in the case of financial reporting, the results of Adams (1999) and Adams and Kuasirikun (2000) show that Germany is clearly not more secretive than UK companies with regard to ethical reporting. The explanation for this apparent anomaly may well lie in ethical relativism (Lewis and Unerman, 1999). It seems logical that moral values, themselves influenced by the various components of culture, should have a greater impact on ethical and social reporting than a disposition for secrecy or transparency in financial matters. The nature and extent of disclosure varies with the period in time (Adams, 1999; Adams and Harte, 1998; Burchell et al., 1985; Guthrie and Parker, 1989b), though this is also clearly linked to changes in the social, political and economic context which occur over time. Specific events increase the extent of reporting as companies respond to stakeholder concerns by attempting to legitimate their activities. Patten (1992) found that companies in the petroleum industry significantly increased their environmental disclosure following the Exxon Valdez oil spill. Walden and Schwartz (1997) found that increases in disclosure following this event were not limited to the oil industry, concluding that firms report in response to public policy pressure following such events. There is a positive relationship the extent of reporting and media pressure. Brown and Deegan (1998) found a positive association between the levels of environmental disclosure and media coverage of various industries’ environmental impacts. Roberts (1992) found that levels of social disclosure were related to stakeholder power and in particular an overall corporate strategy for managing government stakeholders (as measured by political action committee contributions) and meeting creditor expectations (as measured by the debt/equity ratio). The extent to which apparent differences in disclosure across countries are determined by these general contextual factors particularly, for example, culture, the extent of regulations demanding social (and environmental) responsibility, and the power of pressure groups, is under‐theorised. Company chair. Campbell (2000) studied social disclosures of Marks & Spencer plc between 1967 and 1997 and found that changes in the company chairperson explained some of the variability in the volume of social disclosure. Presence of a corporate social reporting committee. Cowen et al. (1987) found a positive relationship between the presence of such a committee and the number of social disclosures. The next section of the paper explains the research method used to identify further internal context variables. I include, in this broad category, both processes of reporting and attitudes of internal players which may influence decision making. Interviews were carried out with three British companies (X, Y and Z) and four German companies (A, B, C and D) during 1998. All the companies were in the chemical and/or pharmaceutical business and were amongst the largest 400 companies listed in the The Times 1000 (1995). 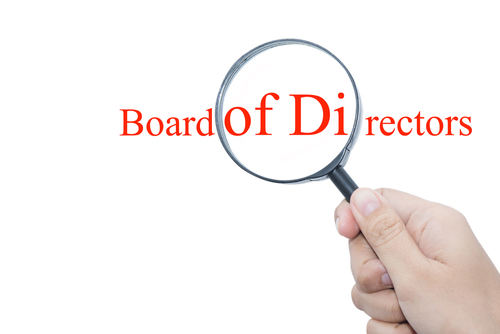 With the exception of two companies, the first point of contact was the head/director of the corporate communications/public relations (PR)/corporate affairs/investor relations department. The matter was then passed on to either the head of the environmental department or someone in the corporate communications department who is on the editorial team of the health, safety and environmental report (HSE report, also sometimes referred to as the environmental or responsible care report). In two cases the first point of contact was with the head of the environmental department. Although the covering letter did state that the project was concerned with environmental, social and ethical reporting, it was nevertheless the head of the environmental department or someone in the corporate communications department on the editorial team for the HSE report to whom the initial enquiry was referred. The reports most frequently discussed in the interviews were the annual report and the HSE report. This emphasis on the HSE report reflects corporate emphasis. 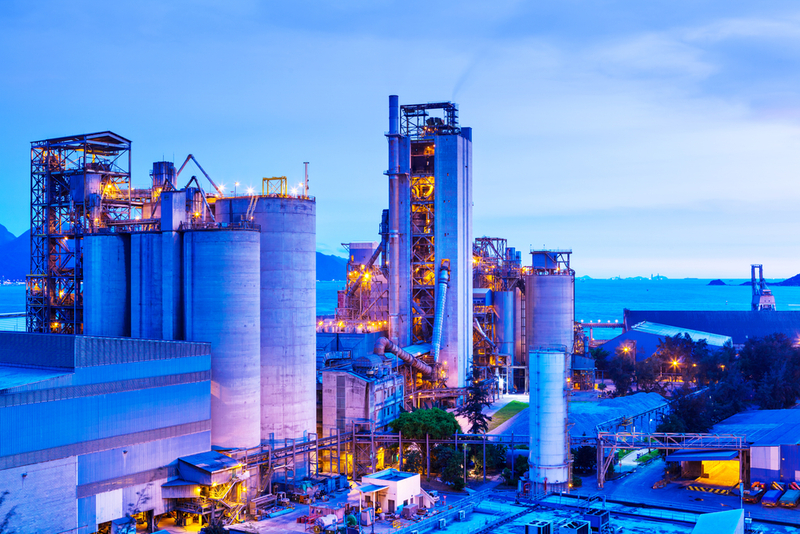 The content of the HSE report differs widely across the sample of companies in terms of both broad topic area covered and the extent to which each is covered. In some companies the HSE report includes community involvement and charitable activities, as well as (usually) health, safety and environmental issues. One or more of the issues covered in some HSE reports are the subject of an additional separate report in some companies. The term “ethical reports” is used to include all reports on “ethical” issues which, in this section, includes health, safety, environmental, community involvement and charitable activities. In the case of the German companies, arrangements were made for me to speak to all the appropriate personnel together, whilst the British companies arranged individual appointments with the staff concerned. For the purposes of the quotes provided below, each individual was numbered one, two, three, etc. so that their responses could be distinguished. Interviews varied in length from approximately half an hour for the shortest individual interview to approximately five hours for the longest group interview. It was not possible to speak to the people involved in the production of the report specifically on environmental issues at company Z as they are based overseas, but the annual report and reports on other ethical, including community, issues were discussed. Most of the interviews were recorded on tapes, but in some cases notes only were taken. The tapes were subsequently transcribed and the typed versions checked by the interviewer. A summary of the interviews with each company organised by theme (see below) was then drafted. Minor changes, mainly involving altering the word order and, less frequently, substituting words for more appropriate ones, were made to the quotes to improve the English. The summaries of the individual interviews were then collated by theme in order to check for completion of the data and identify possible areas where further information might be needed. Sub‐themes were then identified and a summary of the results drafted. Summaries of the individual company interviews were then sent to each participating company for verification, further information being sought where necessary. The covering letter pointed out that changes made to the English were not intended to alter the meaning or emphasis of what had been said during the interviews. In all but one case there were few or no changes to the summaries made by companies. One company, however, was particularly concerned about the possibility of being identified and insisted on some quotes being paraphrased. At the other extreme another company expressed a wish to be named in the study. On receiving a response from a company they were then sent the collated summaries of all interviews updated with later responses and again invited to comment. Access to companies was granted on the understanding that the results would be published anonymously. Information on corporate operations cannot therefore be given. Whilst job titles of interviewees have also been withheld, some indication of position/function has been provided. As mentioned above, some of these themes are directly concerned with the structures and processes involved in reporting, whilst others are more concerned with ascertaining views and attitudes which provide an insight into corporate motives. All these themes are part of the internal context of the organisation which has received little attention in the literature which examines the theories of social reporting. Reporting structures and processes determine who is involved and at what level, whilst views and attitudes of corporate players should provide important insights into what companies are trying to achieve in their reporting. Whilst differences between the German and British samples are discussed in the analysis below, conclusions drawn can only be tentative because of the small sample size used in this type of research. Nevertheless, this comparison between Britain and Germany does shed some light on how differences in influential general contextual variables can impact on the internal context. the extent to which the process is structured and formal as opposed to being more ad hoc and informal. The interviews pointed to differences being dependent on the country of domicile, the size of the company and corporate culture. The German companies appear to involve more people in the process of reporting than the British companies and they tended to have a more structured approach. In most of the German companies the heads of the environmental and other relevant departments or their representative worked with the communications/PR department in producing the HSE report. In two of the British companies interviewed the communications/PR department had little or no involvement in the production of the HSE report, whilst in the third, the editing and writing of the report fell within the public affairs function. In the British companies its production tends to involve a smaller number of people than in the German companies. In two of the British companies it is co‐ordinated by the heads of the environmental departments and in a third by someone specifically responsible for environmental communications within public affairs. In all four German companies it involves a senior member(s) from the environmental department and a member(s) of the corporate communications/PR department. The heads of the main product groupings are also involved in the decision about what should be reported in company (C). Some companies use journalists in the writing of their report, others their own professional writers and others are experts in the subject areas rather than writers. The ownership of the report was felt by interviewees to influence its style and the issues covered, the environmental department being more concerned with the facts and data and the corporate communications/PR department with layout, style, presentation and, in one company (D), the selection of items to be included. Two companies admitted to there being a struggle between the communications/PR and environmental departments, with the communications/PR department being overly concerned with image issues, for example, using pictures and adopting a journalistic style and insufficiently concerned with facts and figures. This is an important insight and further work is needed to determine the extent to which ownership of reporting influences the way in which the company is portrayed and the extent to which reporting discharges a company’s duty of accountability. When you consider the analysts and the journalists, they don’t read the annual report. They look at figures, at the figures only and they have a very short look at all the rest of it. At meetings they are not interested in the past, nor even the present, but in the future (C2, communications, editor of HSE report). Do you have an environmental management system? Do you apply ISO 14001? Are you already certified or do you intend to be? In contrast to these German companies, the British companies did not specifically mention any customer concerns regarding products, again perhaps reflecting the lack of regulation affecting British customers and their lack of concern with environmental issues as compared with German customers. Whilst most of the companies use a tear‐out reply card in the HSE report, very little feedback is given this way, most people using the card to request further publications. Other means by which feedback is obtained from stakeholders are letter, Internet, phone or e‐mail. Companies C, X, Y and Z have carried out detailed stakeholder surveys on ethical reporting which came up with very little feedback for improvement and found that very little time is spent reading them. Another popular means of consulting stakeholders and obtaining feedback from them in Germany in particular is by holding press conferences or public meetings. Three of the four German companies hold these regularly. Feedback may also be obtained from environmental ministries and government agencies to whom a company sends its reports. An interviewee from company B said that specific information requested by pressure groups, which is not considered of interest to the broader public, is sent to them direct and feedback obtained in that manner. Another interviewee also said that company D held quarterly meetings with workers’ representatives, an environmental group and neighbourhood representatives in a nearby city. minimises risks (e.g. of consumer boycotts, unforeseen issues; see also, for example, TXU Europe Sustainability Report (2000)). The extent to which the forms of stakeholder involvement adopted could influence reporting practices was not clear. In particular, it was not clear how, and in some cases if, the stakeholder involvement influences the formulation of corporate ethical values and identification of issues and targets. The nature of relationships of the sample companies with stakeholders is very much an unequal partnership dictated by the companies. More work clearly needs to be done by some of the sample companies, in identifying their key stakeholders and their concerns in the first place if they are to be accountable to them. The concerns of NGOs, for example, are barely addressed in current reporting (Adams, 1999). Attention, in this way, to the stakeholder dialogue could lead to a more inclusive, complete and comprehensive reporting. Most companies appeared to pay more attention to guidelines, other companies’ reports and the criteria of reporting award schemes which, whilst useful to provide an overview of what might be reported and how, cannot help in identifying issues of relevance to stakeholders of individual companies or industries. 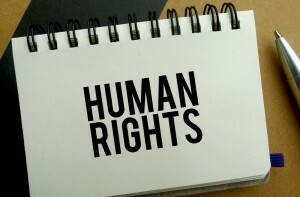 If concepts of what constitutes morally right behaviour vary between societies or key stakeholder groups, then CSR can also be expected to vary. The variation (in CSR) will be bigger if, in addition to concepts of what constitutes morally right behaviour, the extent of involvement of stakeholders across countries also differs. The public wanted more information and we started to report on figures … in the mid‐eighties, giving information on waste, air and water. … Then, of course, there was the Sandoz accident in 1986, which again brought additional pressure from the public, from the politicians, from legislation and so on. It was necessary to react, but it was also driven by desire to act responsibly … to help improve the situation and to give information to the public that they wanted to have (B1, communications). The reason for the increase in the number of companies producing environmental reports since the early 1990s is not regulation or public pressure. The main objective is to improve corporate image with customers, state authorities, journalists and the press (C1, safety and environment, senior manager). They are not getting the sort of pressure we get in the UK. If we rang up our [name of Asian country] site … they would say to you: “Environment isn’t the big issue for our country, global warming is, because we are disappearing under storms every year. We have poverty, we have an infant mortality rate of five times the average. There are a lot more things that should be done in our country before we worry about whether we should have catalytic converters …” So it takes a while to get everybody of a mind that says yes (Y2, environment, senior manager). The view that global warming should be tackled before environmental impacts is puzzling given scientific evidence that the emission of greenhouse gases by companies is a major contributory factor (see United Nations Environment Programme, 1999). For any large multinational corporation operating in lesser developed countries to disassociate themselves from poverty and infant mortality is puzzling and particularly so for companies selling pharmaceuticals. Pharmaceutical companies have been criticised for the way in which drugs are marketed, packaged and priced in these countries and also for selling drugs regarded as non‐essential (see Chetley, 1986; Chew et al., 1985; Ethical Consumer, 1994). That companies began reporting on these issues in response to public pressure, that companies are unwilling to report in countries where there is no public pressure, that the emphasis in reporting across countries changes with changes in public pressure, highlights the continuing vulnerability of voluntary ethical reporting. Concerns with image and demonstrating leadership in reporting practices indicates that reporting in these companies does not come from a concern to be accountable. communicates the group’s values and targets to all group companies. Better acceptance in the public eye. We are sure of that. Better understanding by politicians in our country and better understanding inside the company also because people inside the company read this report just as much. Better understanding of environmental topics because you can see it all together. We just have a better explanation of what we do and invest in this area … it is changing. It is new developments that we want to emphasise, but we started with stronger reporting on our emissions, our environmental impact, we continue with reporting more about products, about private stewardship (B1, communications). There is a very important internal message about the performance of the company and where we are doing well and where we are not. So that when that information goes out, the businesses can then benchmark their own performance against that of the group. And there are some businesses where performance is sadly lacking. So they have got an opportunity with that report to help boost their performances within their own businesses because they have actually got a measurement that they can compare with. So it is a very important internal management tool … (X1, environmental communications, senior manager). The relative weight attached to these various benefits might be expected to influence both the extent and nature of reporting. For example, a concern for communicating group values and targets to other group companies should lead to the reporting of a greater number of (quantified) targets. A concern for improving internal systems and control with a view to improving decision making and reducing costs should lead to reporting of data on issues where cost savings could be made. Communication of targets and overall group performance on such issues would highlight poor performance areas in which improvements were expected. With any information you give, it can be taken two ways. It can be taken positively in the way that we would like it to be taken, but also you can make, enemy is too strong a word, but some of the groups that are actually opposing you in certain areas, might use the information to throw back at you. They could turn it around and say they are only doing this because of the guilt complex that they have got having so much profit. … There is always an option that things can be turned around and used in a way that they were never meant. … If you get it right, and if the person you are giving the messages to reports it in the way you would like it to be reported then you go with it, definitely … (Z2, communications, vice president). This difference between the British and German companies perhaps reflects the greater involvement of the German companies with stakeholders resulting in greater mutual understanding. Extent to which the company studies other companies’ ethical reports and refers to guidelines on environmental reportingAll companies have regard to one or more sets of voluntary guidelines, including the CEFIC guidelines of 1992, those of the VCI (the German chemicals industry association) of 1993, the (site‐based) EMAS (environmental management and audit scheme) requirements and the responsible care initiative. Three of the companies said they also referred to the UNEP guidelines, one mentioned the guidelines of the Institut für ökologische Wirtschaftsforschung, two SustainAbility and two the World Business Council on Sustainable Development. However, where the last three organisations were referred to, their guidelines are followed only in part as they were felt to be far too detailed. Five of the companies study other companies’ ethical reports. Four companies had regard to rankings of ethical reports by various organisations. Those referred to were the ACCA environmental reporting awards, the German Manager Magazin and work by Touche Ross. In summary, where guidelines, rankings and other ethical reports are referred to, they are used as a guide only. Ultimately, I was told, decisions are made based on what the preparers think people want to know, and, as I argue under “stakeholder involvement” above, their means of determining what this is are not well developed. These views explain the enormous diversity in the content and structure of ethical reports. There were no noticeable differences between British and German attitudes to the use of guidelines and other ethical reports. informal discussion with analysts and banks. leaflets delivered to neighbouring houses regarding emergency and safety procedures. The inclusion of the last two here also reflects the fact that all the German company head offices were based on site and are therefore close to communities concerned about the social and environmental impacts of plants. … the one sentence that everyone picked up on out of this … report was this one where we stated in the [year] Environmental Performance Report that [name of company] was prosecuted for environmental offences on [number] occasions world‐wide in [year] compared with [number] cases in the previous year. That one sentence made that report of value to everyone. That validated the report … (X1, environmental communications, senior manager). An interviewee in a German company (B) felt that the German culture may be an influential factor in the lack of bad news reporting in Germany. The influence of culture on the lack of transparency with respect to poor performance has not been fully explored in the social reporting literature (but see Adams and Kuasirikun, 2000; Lewis and Unerman, 1999). From the views expressed here, it seems reasonable to conclude that the companies interviewed were not reporting out of a desire to provide an honest account and discharge their duty of accountability. the frequency of reporting in some media. UK interviewees also expected to see an increase in the number of companies reporting ethical information. With regard to the media of reporting, there was some consensus that the use of detailed separate reports was not cost effective. Hard copy reports are expensive to produce, they are historic and, according to stakeholder survey results, they are not well read. It was felt that companies need to consider more innovative media for reporting, the Internet having been identified by the interviewees as the medium of the future. It certainly allows for a more interesting and timely presentation of information. Indeed, since these interviews were conducted company X no longer produces a hard copy report. A British interviewee who thought the focus in the UK would be on non‐reporters spoke in favour of standardising existing reporting styles and increasing the emphasis on verification. The standardisation of reporting styles has now been tackled by the Global Reporting Initiative’s (2000) Sustainability Reporting Guidelines and to some extent by the AA1000 (Institute of Social and Ethical AccountAbility, 1999a, b) process standard incorporating outline social and ethical audit guidelines. reporting on ethical business practices. 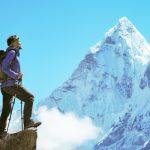 Companies interviewed indicated that they believed that leadership of this type has enormous image benefits and no convincing reasons were given for not developing reporting in these areas. In fact, the benefits of this type of reporting were considered to outweigh the costs. An increasing trend in this type of reporting can already be seen, the first joint Institute of Social and Ethical AccountAbility (ISEA) and Association of Chartered Certified Accountants (ACCA) UK social reporting awards awarded in 2000 having 13 entrants and the second, the results of which were announced in March 2001, having 27 entrants. With regard to community involvement and charitable activities, several companies claimed that they were doing more than they were reporting. Two German companies were particularly concerned that increased reporting on these activities would result in corporate competition to give money away for these causes, with a consequent effect on profitability. There is a very high level of environmental regulation in Germany, particularly with regard to air treatment, waste‐water treatment and waste management. The level of regulation is clearly not popular with companies which feel they are at a competitive disadvantage with companies from other parts of Europe. There is a lack of consensus regarding the extent to which voluntary reporting can influence the extent or nature of such regulations, but some companies did reveal that they reported in such a way as to influence politicians, sometimes through changing public opinion in an attempt to decrease or forestall legislation. In contrast to the German companies interviewed, no comments were made by UK companies on the extent of environmental regulations, indicating perhaps that the concerns by German companies regarding their competitive disadvantage with respect to this matter are justified. These verification statements, I think, are of limited use. All they do is say, yes there is a person in [name of a company] or yes there is a person in [name of a company] or whatever, who can add up, the numbers in the report are about right. I consider that paying somewhere in the region of 40 or 50 grand for someone to come along and say yes, someone in [name of company] can add up is a total and utter waste of money. … This year, we did have a statement in by [name of international accounting firm], but that wasn’t validating the report. What they have done is to go out and validate our health, safety and environmental management system, looking at the way in which data is collected. [Name of international accounting firm] are our auditors on the Annual Report and they agreed to do a survey of [number] of our international businesses. … They went around and they talked to people and they looked through all the numbers and everything else that had been collected and then sent it in to the centre. And in their terms of reference that commitment to providing accurate information was high – that is the statement that we have in our report. It is not a validation of the data in the report, it is the way in which the company lends itself to the importance of HSE and to the collection of data. That cost a lot of money and some people say it is not worth the paper it is written on because it doesn’t validate the report. But then of course, a validation report is not worth the paper it is written on either … except for the publicity. One of the things that we get back from our “audience” survey is that no one is really bothered about the validation report. At the end of the day if you are communicating, you are communicating to specific people. This one goes out a little like a B52 Bomber in terms of the way it drops thousands of copies all over the place. Our report is designed for two principal audiences. It is designed for the shareholder and it is designed for the employees. … Those are the two that we care about and if they are not too interested in validation or verification reporting, why should we waste their money giving them something that they are not interested in? (X1, environmental communications, senior manager). Some time after this interview, the directors of company X decided that they would have their HSE report verified, perhaps confirming Kamp‐Roelands’ (1999) finding that there is an increasing recognition that reports which are not verified lack credibility. Her work points to the emergence of an expectations gap between auditors and companies. In particular, she is concerned about the lack of uniformity in the audit assignments, the wording of audit reports and the audit work performed. This, she argues, leads to different interpretations of the audit report regarding the level of assurance it provides. Of particular concern is her finding that the interpretation of the audit report by the company differs from that intended by the auditors. Some auditors comment on issues which need to be addressed in the future such as, for example, the KPMG report on CIS. The scope of the audit report, the audit method and the quality of the audit staff therefore clearly has an impact on both current and future reporting. The existence of an expectations gap is of concern and will need to be addressed before the quality of reporting can be improved. The importance of sound governance systems in reducing the expectations gap underpins the AA1000 standard (Institute of Social and Ethical AccountAbility, 1999a, b). In the case of social audit, changes in corporate governance systems have been hailed as a way of avoiding a situation where the audit agenda is captured by management and consultants (Owen et al., 2000). The same might be true of environmental audit where it may have a particularly significant impact on which issues are considered to be important. The problem is that … the starting point for the environmental data is the plant and the site. The starting point of the economic data is, in most cases, the [business] units … We haven’t yet had the first session of the project group and that will be one of our main points and topics in the discussion, how to get the things closer together, how to use the existing reporting lines and how to handle the problem. … At the moment we have a reporting line from the plant to the site, from the plant manager to the site manager, and from the site manager to us … We will try to find a way to get an earlier point in the communication lines of economic data and if this is possible, then we have to discuss with the representatives of the business units how this will be done. In the meantime, we have developed new reporting lines in the business units which mean, for example, that occupational accidents are reported to Head Office by an [electronic] system. We have a project group comprising representatives of each business unit and of the corporate functions such as [data processing] and we are trying to find an efficient solution (C1, safety and environment, senior manager). Our relationships with the accountants was short‐lived, but it was fruitful. It was, at the time, beneficial. It did help us to really get the data flowing in a far more effective way than we had been doing in the past, which was information coming from all four corners of the earth on about [number] or probably more different sorts of systems. … Over the last two to three and half years, we utilised the financial reporting system basically because it was in place, it was up and running, it worked well and so we bolted on some requirements for HSE reporting onto that. … The bean counters seem to be somewhat out on a limb and whilst a part of what the HSE people do is of course collecting numbers, it is not their primary concern. Their primary concern is to improve the performance in a business, to make sure people are as safe as possible, that they are not injured and that they don’t incur ill health while they are working in the environment. So the numbers are just a means of measuring how they are doing, whereas for the accountants that is their meat and drink. If numbers are required by the headquarters from accountants they will work all night to do it, whereas if numbers are required from the HSE people they tend to be less enthusiastic … The accountants would knock on the doors of the HSE people and say: “These numbers have to be provided now, we won’t go away until they are provided.” … because it’s an accounting system, it is not particularly user friendly to the HSE people, it doesn’t actually help them to do their job. All they were doing was giving it to accountants and accountants were pressing buttons … I suppose there is only one area of commonality which is how much we spent on the environment … That will continue probably to be owned by the accountants themselves, but they will be getting information from site and businesses, but any financial number is owned by bean counters. Everything else is owned by us, so if the Annual Report people want to put in information about our environmental performance or safety statistics or whatever then they come to us for it (X2, health, safety and environment). … whereas the bean counters in [name of company] are all over the place, the HSE function is full of more normal human beings, having a very small number of people who are involved in trying to put all those numbers together. So what we have to achieve is by no means less onerous than the accountancy lot, but where bean counters feast upon life and reproduce twice a year, we just have one or two people who are involved in it (X1, environmental communications, senior manager). No they don’t … These guys in the businesses if you say to them, we want a whole new system in measurement, they will scream bloody murder: “Not more information for the centre, why can’t you let us get on and make money and be a successful business? We don’t want to waste our time providing you with a load of information which we think is a load of rubbish” (X1, environmental communications, senior manager). We discussed it [i.e. links with the financial reporting system] and we were thinking about using their system. … They do in fact collect the environmental expenditure data for me. But I was a bit wary of doing anything which could damage the financial reporting process, that would just ruin our credibility, if we caused a problem in the financial reporting … say we are sending over vast amounts of data … and it caused a corruption or an overload or a failure and therefore delays in them getting their numbers in. Or you find remote sites, if you give them a huge list of information and say “please provide that”, they don’t tend to send it until they have got everything. So there is a risk that they wouldn’t provide the financial data until they got this final one piece of environmental information … There is no doubt that in three years’ time it will all be done on the Internet (Y2, environment, senior manager). Another employee (Y1, environment department) argued that, whilst linking with the financial system might result in more timely reporting, the current system was reasonably efficient and a problem of using accountants to process the data would be that they do not collect it, they would not understand it as well and therefore would not be in the best position to ensure its completeness and may not look after it. It may be concluded from this that reporting lines and the function of those collecting data may have some bearing on the type of data collected and the timelines of reporting. While some tentative conclusions can be drawn from this work, the small sample size typical of such case study work must be borne in mind. This discussion starts with the identification of the key findings with regard to influences on reporting. It then moves on to the implications of these findings for both theoretical development and further empirical work in the field. A key finding of this study is that there are significant internal contextual variables which are likely to impact on the extensiveness, quality, quantity and completeness of reporting. The internal contextual variables considered here include aspects of the reporting process and attitudes to reporting, its impacts, legislation and audit. The study finds that the process of reporting and decision making appears to depend on country of origin, corporate size and corporate culture. Aspects of process which appear to be influenced by these variables are the degree of formality versus informality, the departments involved and the extent of engagement of stakeholders. For example, German companies tended to have more shared responsibility, involved the communications/PR department more and tended to have more formal procedures than British companies. However, in the smallest German company, the first draft of the report was put together by one person. The impact of corporate culture is much more difficult to determine, but there was a strong sense of both a “collective programming of minds … ” (Hofstede, 1984), which was rather different across companies, and of individuals belonging to a distinctive team each with different aspirations and different ways of working. Whilst prior work has demonstrated a relationship between the nature and extent of reporting and both country of origin and corporate size, this has not previously been linked with different internal reporting processes. It seems reasonable to assume, for example, that differing internal reporting processes such as differences in the extent of involvement of the communications/PR department and in the extent and nature of stakeholder engagement would have an impact on the nature of reporting. Of particular concern is that a two‐way dialogue with stakeholders linked to governance systems, essential to ensure the completeness of reporting, is missing from the companies interviewed. Whilst there is a danger with stakeholder dialogue in that there is an enormous imbalance of power between a company and its various stakeholder groups, it is difficult to see how reports can ever reflect all issues of importance to key stakeholder groups if there is no dialogue. The finding that accountants are neither involved in data collection nor considered appropriate people to be involved will be comforting to some. It seems appropriate that, with respect at least to all non‐financial information, data collection is carried out by those who are familiar with the data themseleves (see proposal in Adams and Harte (2000, ch. 6)). The attitudes of interviewees are also likely to have an influence on the extent and nature of reporting. For example, the main motivation for corporate ethical reporting according to the interviewees is to enhance corporate image and credibility with stakeholders. The main reason for starting to report was public pressure, and this was also an important reason given for developments and changes in reporting practice. Further, there is general agreement that reporting bad news enhances corporate credibility and image, although there was also a view that beyond a few sentences there would be no further image benefits. There was also some concern about public reaction to disclosures on specific issues such as fines. This fear of unknown reactions would appear to explain the very small amount of bad news reporting in the reports of these companies. All of this points to an absence of a desire to be accountable with its consequent effect on reporting. Attitudes to audit vary between companies, with some companies not having an audit and others having audits of only limited scope. The quality of auditors in this relatively new audit field and the scope of the audit are crucial to the further development of corporate reporting. This is an issue of increasing concern as more and more information on ethical, social and environmental performance is put on the Internet. There has to date been little empirical work on the processes by which companies make disclosures. The theories of social reporting have been developed without an explicit attempt to engage those companies which do report. One could argue that the findings in this paper support all the theories of social reporting to varying degrees, but such a conclusion would not be particularly helpful in achieving the key goal of many researchers in this field, to improve corporate accountability. Prior work has clearly demonstrated that these theories can at best offer only a partial explanation for the nature of corporate social reporting. The theories have limited explanatory power and there is no conclusive evidence in support of any one of them. Although one must be careful in generalising from such small sample work, this study does allow some tentative conclusions to be reached with regard to other internal contextual variables which have an influence on social reporting and which are worthy of further research. The interview data gives an insight into motivations for corporate reporting which cannot be achieved by studying the extent and nature of reporting in relation to a selection of specified variables alone. 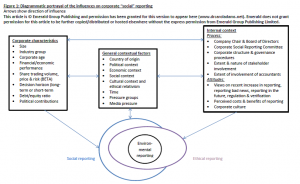 This Diagrammatic portrayal of the influences on corporate social reporting (click to view) summarises the various influences on social, ethical and environmental reporting which have been examined in this study and the prior literature. The diagram shows how the various factors which have been found to influence reporting have been grouped in the paper. It highlights the two‐way influence between the groups of factors and the interrelationship between these variables and reporting. 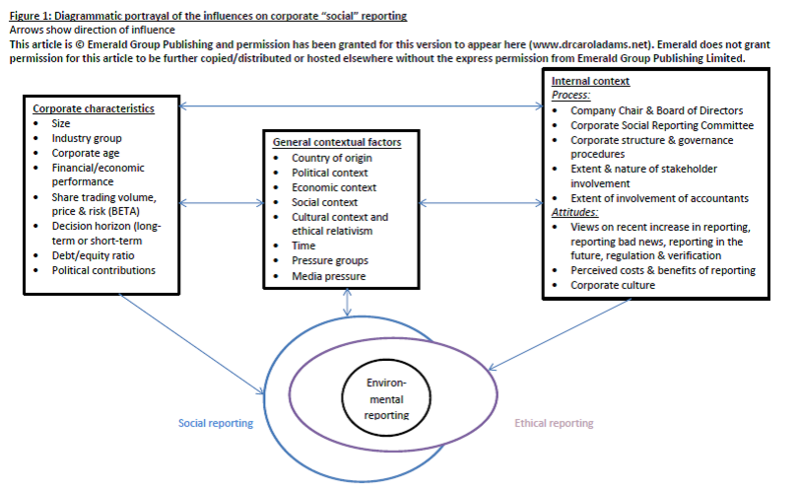 The diagram is not intended to represent a comprehensive model of social, ethical and environmental reporting but highlight the influential factors and the relationships between them. The relative influence of the various contingent variables has been found to vary depending on the type of reporting (Adams, 1999; Adams et al., 1998b). The reasons for this are not entirely clear, although the literature referred to in this paper does provide some explanation. The power of the various variables to influence the reporting also appears to differ across countries, industries and companies, and this model suffers the same failings as the contingency models of management accounting in not being able to predict which will be the most important under different circumstances (see Otley, 1980). If improvements in the extensiveness, quality, quantity and comprehensiveness of reporting are to be achieved, then perhaps academic researchers should be engaging more with the companies that do it in order to gain a better understanding of their internal processes and attitudes to communicating this type of information and how they influence reporting. Companies are of course influenced in the decision about whether and how to report by what they see as being the benefits of doing so. And whilst we must always be wary of corporate motives, many are beginning to recognise that society is increasingly expecting them to do more than make money. There would, I think, be great value in more case study work examining the processes of social and ethical reporting and governance structures, and identifying aspects of them which influence reporting practices. Such work could involve examining both processes and reports of a sample of companies, perhaps using publicly available information on processes and governance structures, where available, in the reports themselves to avoid the need for confidentiality. The results of such work would be important in the further development of reporting processes, sound governance structures which involve stakeholders and, importantly, auditing guidelines. Such developments would improve corporate accountability on ethical, social and environmental impacts leading to better performance. 2. The number of companies which report. 3. Measures of the quality of social and ethical disclosures are included in AccountAbility 1000 (AA1000), process standard (see Institute of Social and Ethical Accountability, 1999a, b. 5. For example, to cover social and community issues as well as environmental issues and to report “bad news” such as fines, investigations by government bodies and environmental and safety incidents. 6. See Adams et al. (1995a) and Adams and Harte (1998). 7. See Gray et al. (1995), for a description of these theories. Adams, C.A. (1999), The Nature and Processes of Corporate Reporting on Ethical Issues, CIMA Rresearch Monograph, CIMA, London. Adams, C.A. and Harte, G.F. (1998), “The changing portrayal of the employment of women in British banks’ and retail companies’ corporate annual reports”, Accounting, Organisations and Society, Vol. 23 No. 8, pp. 781‐812. Adams, C.A. and Harte, G.F. (2000), “Making discrimination visible”, Accounting Forum, Vol. 24 No. 1, pp.56‐79. Adams, C.A. and Kuasirikun, N. (2000), “A comparative analysis of corporate reporting on ethical issues by UK and German chemical and pharmaceutical companies”, European Accounting Review, Vol. 9 No. 1, pp. 53‐80. Adams, C.A., Coutts, A. and Harte, G.F. (1995a), “Corporate equal opportunities (non), disclosure”, British Accounting Review, Vol. 27 No. 2, pp. 87‐108. Adams, C.A., Hill, W.Y. and Roberts, C.B. (1995b), Environmental, Employee and Ethical Reporting in Europe, ACCA Research Report No. 41, ACCA, London. Adams, C.A., Hill, W.Y. and Roberts, C.B. (1998), “Corporate social reporting practices in western Europe: legitimating corporate behaviour”, British Accounting Review, Vol. 30 No. 1, pp. 1‐21. Andrew, B.H., Gul, F.A., Guthrie, J.E. and Teoh, H.Y. (1989), “A note on corporate social disclosure practices in developing countries: the case of Malaysia and Singapore”, British Accounting Review, December, pp. 371‐6. Arnold, P. and Hammond, T. (1994), “The role of accounting in ideological conflict: lessons from the South African divestment movement”, Accounting, Organizations and Society, Vol. 19 No. 2, pp. 111‐26. Belkaoui, A. and Karpik, R.G. (1989), “Determinants of the corporate decision to disclose social information”, Accounting, Auditing & Accountability Journal, Vol. 2 No. 1, pp. 36‐51. Brown, N. and Deegan, C. (1998), “The public disclosure of environmental performance information – a dual test of media agenda setting theory and legitimacy theory”, Accounting and Business Research, Vol. 29 No. 1, pp. 21‐41. Burchell, S., Clubb, C. and Hopwood, A.G. (1985), “Accounting in its social context: towards a history of value added in the United Kingdom”, Accounting, Organizations and Society, Vol. 10 No. 4, pp. 381‐413. Campbell, D.J. (2000), “Legitimacy theory or managerial reality construction? Corporate social disclosures in Marks and Spencer Plc corporate reports, 1969‐1997”, Accounting Forum, Vol. 24 No. 1, pp. 80‐100. Chetley, A. (1986), “Not good enough for us but fit for them – an examination of the chemical and pharmaceutical export trades”, Journal of Consumer Policy, Vol. 9, pp. 155‐80. Chew, R., Teeling‐Smith, G. and Wells, N. (1985), Pharmaceuticals in Seven Nations, Office of Health Economics, London. Cooper, C. and Puxty, A. (1996), “On the proliferation of accounting (his)tories”, Critical Perspectives on Accounting, Vol. 7, pp. 285‐313. Cowen, S.S., Ferreri, L.B. and Parker, L.D. (1987), “The impact of corporate characteristics on social responsibility disclosure: a typology and frequency based analysis”, Accounting, Organizations and Society, Vol. 12, pp. 111‐22. Deegan, C. and Gordon, B. (1996), “A study of the environmental disclosure practices of Australian corporations”, Accounting and Business Research, Vol. 26, pp. 187‐99. Douglas, M. and Wildavsky, A. (1982), Risk and Culture: An Essay on the Selection of Technological and Environmental Dangers, University of California Press, Berkeley, CA. Edwards, D. (1998), The Link between Company Environmental and Financial Performance, Earthscan,London. Ethical Consumer (1994), “Special report on the pharmaceutical industry”, Ethical Consumer, Issue 32. Gerhardy, P. (1991), “Culture and accounting principles – the case of West Germany”, Accounting Research Journal, Vol. 4, pp. 19‐29. Gray, R.H., Kouhy, R. and Lavers, S. (1995), “Corporate social and environmental reporting: a review of the literature and a longitudinal study of UK disclosure”, Accounting, Auditing & Accountability Journal, Vol. 8 No. 2, pp. 47‐77. Gray, S.J. (1988), “Towards a theory of cultural influences on the development of accounting systems internationally”, Abacus, March, pp. 1‐15. Global Reporting Initiative (2000), Sustainability Reporting Guidelines on Economic, Environmental and Social Performance, Global Reporting Initiative, Boston, MA. Guthrie, J. and Parker, L.D. (1989a), “Corporate social reporting: a rebuttal of legitimacy theory”,Accounting and Business Research, Vol. 9, pp. 343‐52. Guthrie, J. and Parker, L.D. (1989b), “Continuity and discontinuity in corporate social reporting: a critical case study of BHP reporting 1885‐1985”, working paper. Guthrie, J. and Parker, L.D. (1990), “Corporate social disclosure practice: a comparative international analysis”, Advances in Public Interest Accounting, Vol. 3, pp. 159‐75. Hackston, D. and Milne, M.J. (1996), “Some determinants of social and environmental disclosures in New Zealand companies”, Accounting, Auditing & Accountability Journal, Vol. 9, pp. 77‐108. Harte, G., Lewis, L. and Owen, D. (1991), “Ethical investment and the corporate reporting function”,Critical Perspectives on Accounting, Vol. 2, pp. 227‐53. Hofstede, G. (1984), “Cultural dimensions in management and planning”, Asia Pacific Journal of Management, Vol. 1 No. 2, pp. 81‐99. Hogner, R.H. (1982), “Corporate social reporting: eight decades of development at US Steel”, Research in Corporate Social Performance and Policy, Vol. 4, pp. 45‐55. Institute of Social and Ethical AccountAbility (1999a), AccountAbility 1000 (AA1000): A Foundation Standard in Social and Ethical Accounting, Auditing and Reporting, AccountAbility, London. Institute of Social and Ethical AccountAbility (1999b), AccountAbility 1000 (AA1000), Framework: Standards, Guidelines and Professional Qualification, AccountAbility, London. Kamp‐Roelands, N. (1999), “Audits of environmental reports: are we witnessing the emergence of another expectation gap”, Koninklijik Nederlands Instituut van Registeraccountants, Amsterdam. Lewis, L. and Unerman, J. (1999), “Ethical relativism: a reason for differences in corporate social reporting?”, Critical Perspectives on Accounting, Vol. 10, pp. 521‐47. Lynn, M. (1992), “A note on corporate social disclosure in Hong Kong”, British Accounting Review, June, pp. 105‐10. McCormick, J. (1991), British Politics and the Environment, Earthscan Publications, London. Muller‐Rommel, F. (1989), New Politics in Western Europe: The Rise and Success of Green Politics and Alternative Lists, Westview Press, Boulder, CO.
Nees, K.E. and Mirza, A.M. (1991), “Corporate social disclosure: a note on a test of agency theory”,British Accounting Review, September, pp. 211‐18. Niskala, M. and Pretes, M. (1995), “Environmental reporting in Finland: a note on the use of annual reports”, Accounting, Organizations and Society, August, pp. 457‐66. Otley, D. (1980), “The contingency theory of management accounting: achievement and progress”,Accounting, Organizations and Society, Vol. 5 No. 4, pp. 413‐28. Owen, D.L., Swift, T.A., Humphrey, C. and Bowerman, M. (2000), “The new social audits: accountability, management capture or the agenda of social champions?”, European Accounting Review, Vol. 9 No. 1, pp. 81‐98. Patten, D.M. (1990), “The market reaction to social responsibility disclosures”, Accounting, Organizations and Society, Vol. 15 No. 6, pp. 575‐87. Patten, D.M. (1991), “Exposure, legitimacy and social disclosure”, Journal of Accounting and Public Policy, Vol. 10, pp. 297‐308. Patten, D.M. (1992), “Intra‐industry environmental disclosures in response to the Alaskan oil spill: a note on legitimacy theory”, Accounting, Organizations and Society, Vol. 17 No. 5, pp. 471‐5. Roberts, C.B. (1990), International Trends in Social and Employee Reporting, ACCA Occasional Research Paper No. 6, ACCA, London. Roberts, C.B. (1991), “Environmental disclosures: a note on reporting practices in mainland Europe”,Accounting, Auditing & Accountability Journal, Vol. 3, pp. 62‐71. Roberts, R.W. (1992), “Determinants of corporate social responsibility disclosure: an application of stakeholder theory”, Accounting, Organizations and Society, Vol. 17, pp. 595‐612. Rockness, J. and Williams, P.F. (1988), “A descriptive study of social responsibility mutual funds”,Accounting, Organizations and Society, Vol. 4, pp. 397‐411. The Times 1000 (1995), Times Books, London. Tinker, T. and Neimark, M. (1987), “The role of annual reports in gender and class contradictions at General Motors: 1917‐1976”, Accounting, Organizations and Society, Vol. 12, pp. 71‐88. Trotman, K.T. and Bradley, G.W. (1981), “Associations between social responsibility disclosure and characteristics of companies”, Accounting, Organizations and Society, Vol. 6, pp. 355‐62. United Nations (1992), Environmental Disclosures: International Survey of Corporate Reporting Practices, United Nations Economic and Social Council E/C.10/AC.3/1992/3, New York, NY. United Nations (1994), Environmental Disclosures: International Survey of Corporate Reporting Practices, United Nations Economic and Social Council E/C.10/AC.3/1994/4, New York, NY. United Nations Environment Programme (1999), Global Environment Outlook 2000, United Nations Environment Programme, Nairobi. Walden, W.D. and Schwartz, B.N. (1997), “Environmental disclosures and public policy pressure”,Journal of Accounting and Public Policy, Vol. 16, pp. 125‐54.